I joined an amazing group of bloggers put together by Beth at Living Life Intentionally to present Christmas Around the World. Each blogger is presenting how Christmas or a winter holiday is celebrated in different countries around the world. Some will be writing from their own experiences and some, like me, will be writing based on research. Today I present Christmas in Kenya. Now I must admit, I did not know much about Christmas in Kenya, but had picked Kenya, because I knew if I couldn't find anything, I could always contact my friend, Andrea at Ziezo--Crafting and Living in Kenya. 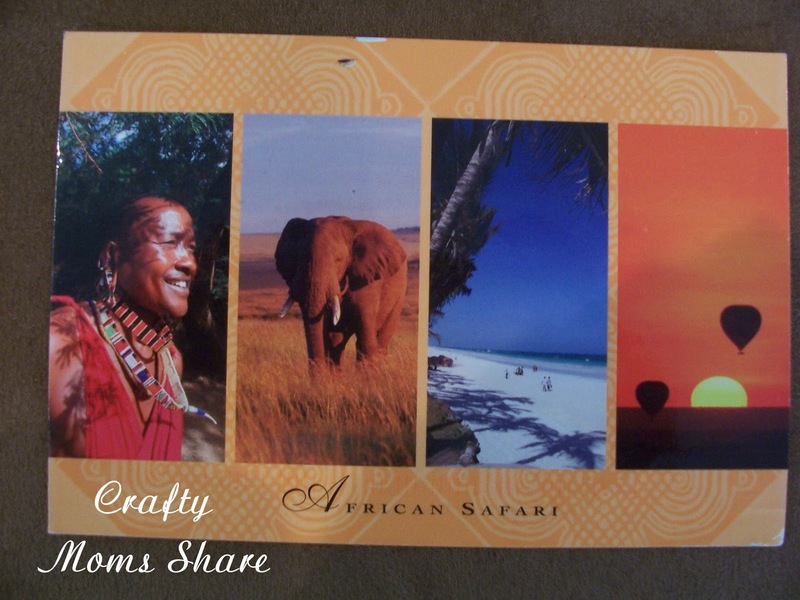 Her children sent Hazel the postcard pictured above. And I have to admit that some of my ideas definitely did come from Andrea. 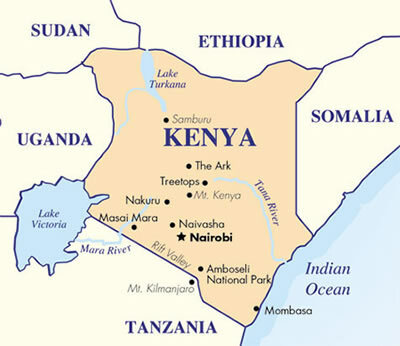 There is not much out there on Christmas in Kenya. Many of their customs including images come from the British including their Christmas cards. Therefore, they imagine Christmas as a winter scene even though they are close to the equator. Christmas brings families together in Kenya. Many people have moved away from their rural homes for work in the cities. These people come back home for Christmas. One book claimed that the cities are almost deserted because so many people return to the country to see their family. Celebrations begin on Christmas Eve. Young people go from house to house singing Christmas carols. The singers are given money or gifts which they bring to church on Christmas Day. At the Christmas Eve church services the story of Jesus' birth is acted out. They wear their traditional African clothes and offer presents such as goats and baskets of grain. They sing African carols and songs to welcome the new baby and there is dancing and music. On Christmas Day, most Christians go to church. During the year it is mainly the women who go to church, however on Christmas the men go too. The wealthier people bring money offerings to the church and the poorer people bring fruit and grain. The fruit and grain are auctioned to raise money for the work of the church. 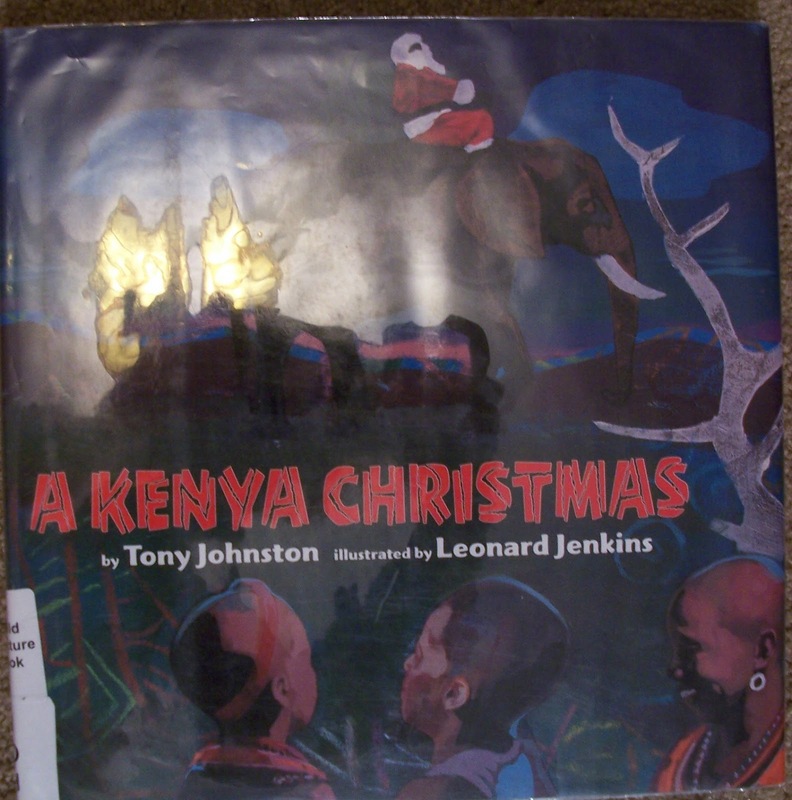 One of the best ways get the experience of Christmas in Kenya is a wonderful picture book called A Kenya Christmas by Tony Johnston. The story is about Juma whose biggest Christmas wish is to see Father Christmas in person. One year his aunt from the city brings a Father Christmas suit to give him his wish, but fate has a way of turning things around to truly bring him his wish. 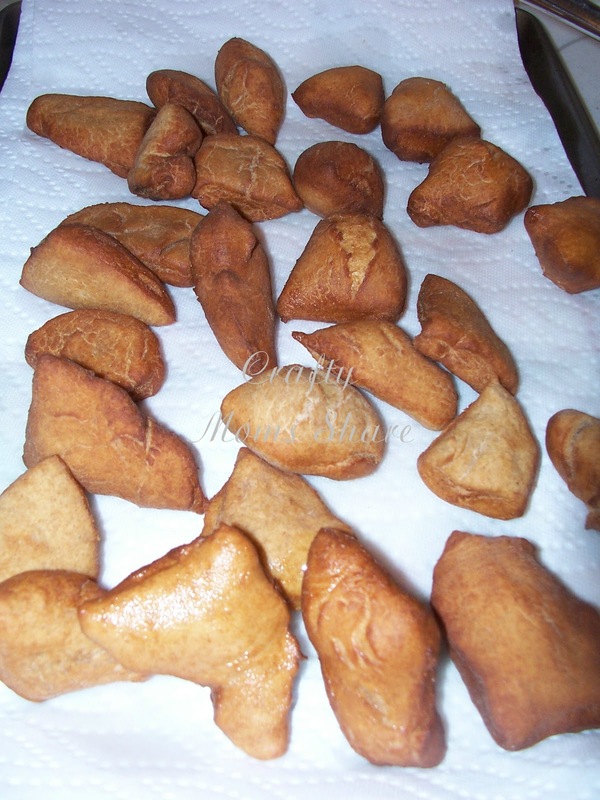 In this story two traditional Kenyan treats are mentioned mandazi and chapati. Mandazi is an African doughnut and chapati is an African bread. 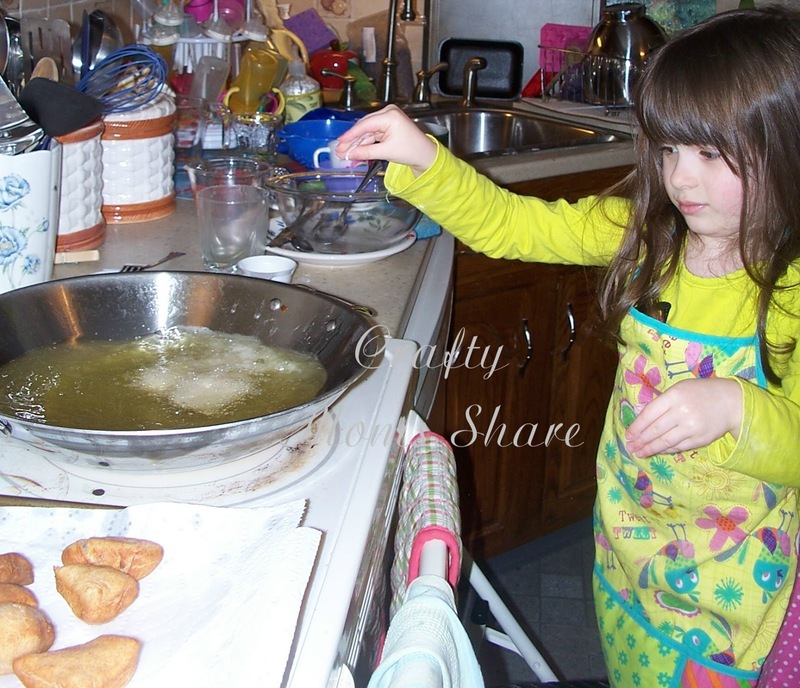 We decided to make some mandazi. Mandazi is often served with chai in Kenya. I got very excited as chai lattes are a favorite drink of mine, however chai in Kenya is black tea with sugar and milk and not the spiced type you get in India or the United States. 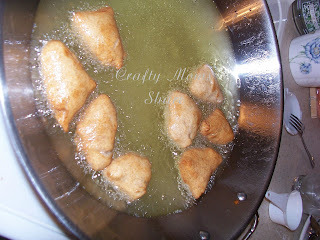 I did a search for mandazi recipes and found two to try--one with yeast and one without. Since the last time we posted about Kenya we made doughnuts without yeast, I thought we would try ones with it. So we adapted the recipe from Kadirecipes.com. We dissolved one teaspoon of yeast in 1/2 cup of warm water and set it aside. Then we beat an egg and mixed in 1/2 cup of milk, 1/2 cup of sugar and a tablespoon of olive oil and set it aside. We then mixed one cup of whole wheat flour and one cup of white all-purpose flour with a teaspoon of cinnamon and a quarter teaspoon of cardamom and the yeast and water. We mixed this with our hands. 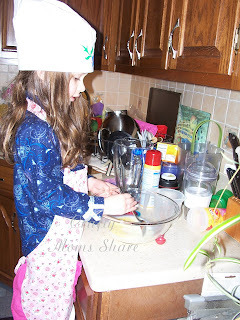 We added the egg mixture and added more flour (up to 1 cup) so the dough was not too sticky. 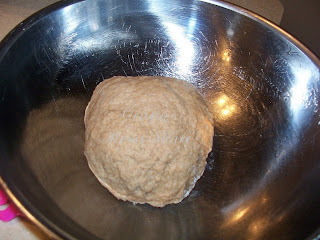 Then we put the dough in an oiled bowl covered with a towel for an hour to rise. After an hour, we broke the dough into nine pieces. 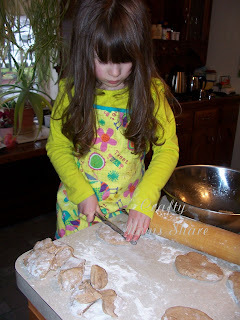 We flattened each piece (we found it worked fine to do it with your hands since the pieces were not too big, but did try it with the rolling pin as well) and cut each circle into four pieces. Then we dropped the pieces into hot oil. Since we do not have a deep fryer we used our wok filled with oil. 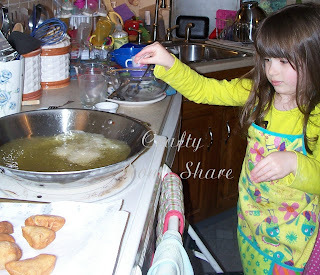 I taught Hazel how to drop it low so the hot oil would not splash up. Then we cooked them until they were golden brown. Our first batch was put in before the oil was hot enough and they did not cook as well, so make sure your oil is good and hot before you cook yours. We put them on paper towels (with newspaper underneath them) to absorb the excess oil. Then tasted them and Hazel and I really liked them. Steve thought they were bland, however I think he meant not as sweet as American ones since they did not have as much sugar. Hazel and I enjoyed ours with a cup of hot chocolate. Hazel has already asked to make more of them! In Kenya they do not usually have a Christmas tree. The few that do have one do not usually have a pine tree like you would find in many American or European Christian homes. They decorate a cypress tree or a local evergreen tree. They decorate them using grass, paper beads, Masai beads, and recycled aluminum. (Thanks to Andrea for this information) The books I found with Christmas in them also showed decorated roofs with flowers instead of a tree. One showed a bus decorated with branches. When I googled Kenya Christmas ornaments I found these beautiful soapstone ones on Global Crafts. 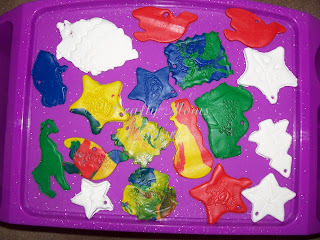 Since I do not have soapstone to carve or the skill to carve it (and was not about to try to carve it with an almost four-year-old), I thought we could make faux ones out of clay. We pulled out some store bought air-dry clay and Hazel's rolling pins and cookie cutters and then we got even fancier with some rubber stamps. Hazel really enjoyed this activity. I used a plastic cutting tool to do some "carving" marks on some and then we used the rubber stamps on others. We also combined some of the colors to get a marble effect. Andrea had also given me a few suggestions: paper beads strung for garland, straw figures, beaded ornaments and wire stars. 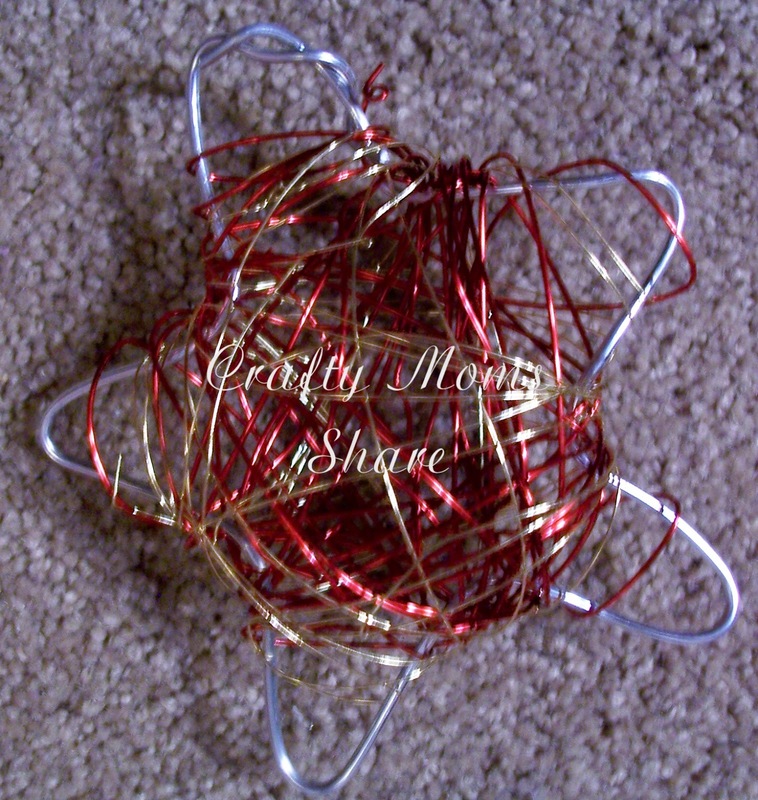 I made this wire star. 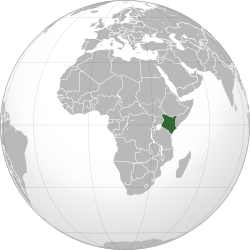 I'm not really sure how Kenyan it is but at least I know they use wire to make stars. 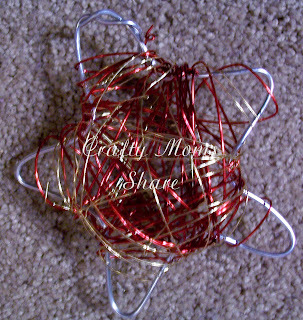 I took a thicker wire and wrapped it around a star cookie cutter and then wrapped thinner colored wire around it to give it a third dimension. So this is how Christmas is experienced in Kenya. I hope you will visit some of the other amazing posts for our Christmas around the World Series. 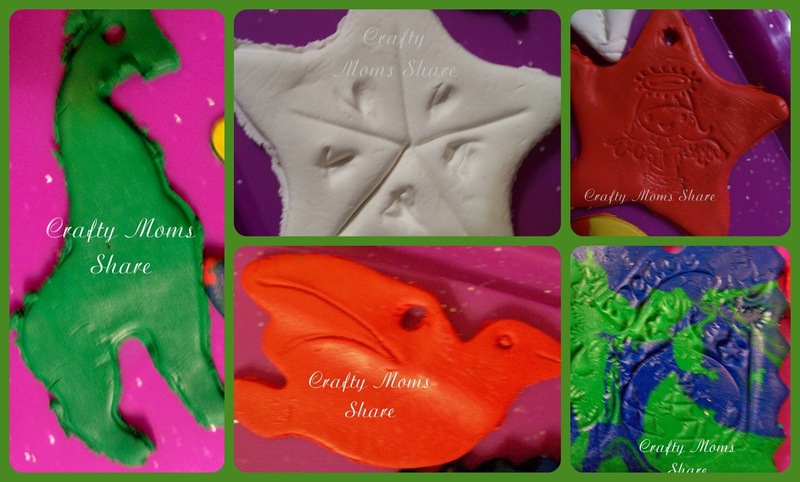 Again a huge thank you to Andrea of Ziezo Designs for her help with this post!! I hope you will visit her blog and her her Esty shop--she has beautiful things for sale! For more Christmas Around the World be sure to check out this post over at Kid World Citizen. 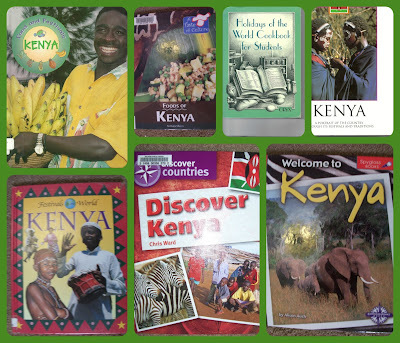 What fun and interesting information about Kenya. Thanks Carrie for sharing on "I Gotta Try That" Have a great week! So interesting! I learned a lot Carrie!! Your recipe and crafts were perfect - I really like the wire star one!! Thanks for joining us for Christmas Around the World!! This is really interesting! We're doing Kenya tomorrow, so I'll be referring back to this for sure! Thanks for sharing! What a wonderful holiday post! This us a chikdren's book! Excellent! Pinning! Is a children's book, sorry, texting! Very thorough enjoyable post. 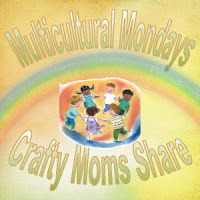 Its wonderful for kids to get a practical exposure to other cultures, lovely idea.